Some of DM Scuba instructors are also RYA Level 2 skippers and can teach you real world advice as not only do we dive from boats all of the time all over the world, but we are trained to drive them as well! Diving from a boat is fun, especially when you look at ease when manoeuvring around on it. It’s fun to know what you’re doing especially when you're on a boat with lots of other divers and loads of expensive dive gear! Learn the rules you're expected to know! 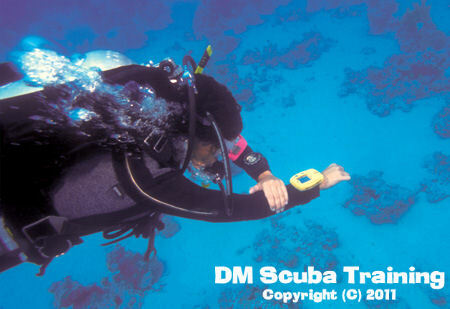 How and where do you stow your dive gear, what's the procedure for exit and entries? What's the emergency procedure should anything happen? All of this and more becomes clear when you take the PADI Boat diver specialty course with DM Scuba. Normally held in Portland, Dorset. One day completing two dives. Learn how to use Enriched air up to 40% Click on the photo to learn more! Learn to Dive in a Dry Suit! Click on the photo to learn more!